Mother Nature is the star of the show in the latest construction on WKU’s campus. WKU's Amy Bingham has details of an environmental sculpture that has taken shape in front of the Kentucky Museum in this week’s View from the Hill. 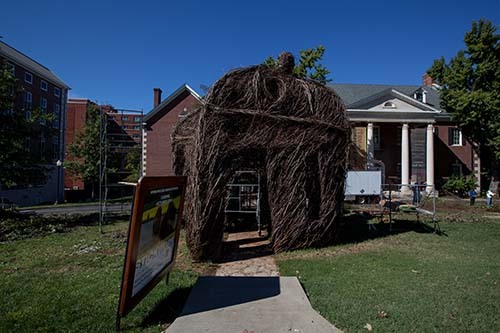 WKU’s Cultural Enhancement Series and the Kentucky Museum have hosted award-winning artist Patrick Dougherty this month for the Stickwork at WKU project.